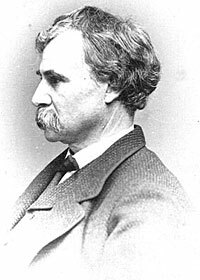 An attorney and Congressman from Maryland (Know-Nothing, Republican, 1854-61, 63-64), Henry Winter Davis was considered for Lincoln’s first cabinet and had heavy support from New England, his cousin David Davis, Thurlow Weed and William Seward, but lost out to his enemy, Montgomery Blair, who had more favorably impressed Lincoln. Indeed, he had not publicly supported Mr. Lincoln during the 1860 election and was not even a Republican at the time. “Naturally, the congressman’s initial enthusiasm for Lincoln was damaged [as a result of his failed cabinet bid], but there is no indication from the available evidence that he was tremendously hostile toward him as a result of the episode. 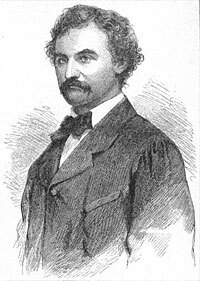 In fact, much of the bitterness Davis felt over his failure to obtain a cabinet portfolio was directed toward Montgomery Blair,” wrote Davis biographer Gerald S. Henig.1 Critics within the party also deprived him of an opportunity to move to the Senate a year later in March 1862. In 1864, Davis co-sponsored the Wade-Davis bill on reconstruction that was much tougher on allowing individuals and states to be reunited with the Union than President Lincoln desired. After Mr. Lincoln pocket vetoed the bill, Davis was enraged. He authored Wade-Davis Manifesto against lenient reconstruction policy and searched for an alternative candidate to Lincoln in 1864. The manifesto accused Mr. Lincoln of a “studied outrage on the legislative authority of the people” and “a rash and fatal act…a blow at the friends of his administration, at the rights of humanity, and at the principles of republican government.”7 The manifesto boomeranged—reinforcing support for the President and creating opposition in Maryland to Davis. Gerald S. Henig, Henry Winter Davis, p. 153. 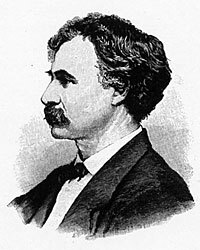 Henig, Henry Winter Davis, pp. 196-197. Michael Burlingame, Abraham Lincoln: A Life, Volume II, p. 55. John Niven, Gideon Welles: Lincoln’s Secretary of the Navy, p. 475. Herman Belz, Reconstructing the Union: Theory and Policy During the Civil War, p. 134. Herman Belz, A New Birth of Freedom, p. 59. Henig, Henry Winter Davis, p. 216. Charles Bracelen Flood, 1864: Lincoln at the Gates of History, p. 131. Noah Brooks, Personal Recollections of Abraham Lincoln, p. 208. John Nicolay and John Hay, Lincoln, Volume X, p. 377. Don E. Fehrenbacher, Lincoln in Text and Context, p. 201. Michael Les Benedict, A Compromise of Principle: Congressional Republicans and Reconstruction 1863-1869, p. 85.